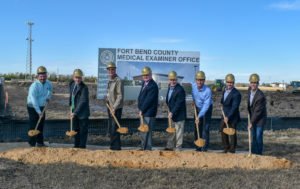 FORT BEND COUNTY, TX – Fort Bend County is grateful to Senator John Cornyn and Congressman Pete Olson for their support in obtaining federal assistance for the damage sustained during the ‘Tax Day’ and ‘Memorial Day’ flooding events of 2016. 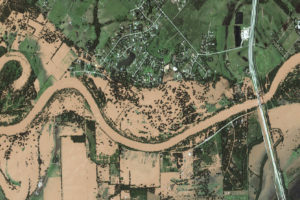 Fort Bend County was not originally recognized as significantly damaged following the two major flooding events, and as a result was left out of the major portion of federal funding assistance through the Community Development Block Grant- Disaster Recovery (CDBG-DR) in November of last year. This funding, administered by the U.S. Department of Housing and Urban Development (HUD) provides Disaster Recovery grants to rebuild affected areas and provide monies to initiate the recovery process. In January of 2017, Fort Bend County was added to the list of five counties as most impacted by disaster within the state of Texas. By inclusion in this list, Fort Bend County will now participate with Harris, Newton, Brazoria, and Montgomery counties in sharing the $141 million of the total $177 million allocated. The General Land Office will have an action plan for allocation of this funding within the next 90 days.